Scroll down for Lion Mane Tales and other fun reading materials for kids. 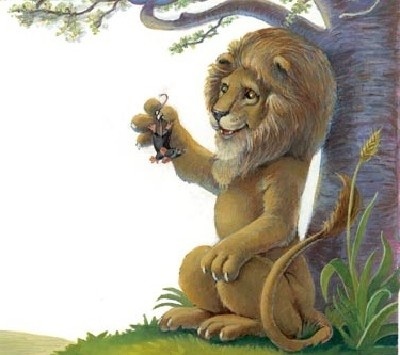 The Lion and the Mouse is a story about how ability is not necessarily determined by size. The Sick Lion is a moral story about a lion who tricks its prey to approach by feigning illness. But the fox proves too clever for the lion. The Lion in Love is a heartbreaking tale of unrequited romance. when a mouse ran upon him and tickled his mane. and roared an angry refrain. and know that mouse no more. “Forgive me my trespass across your fur! 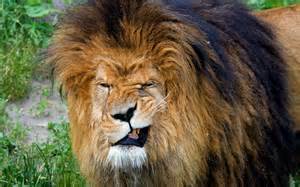 “Alright!” Said the lion, “You're making me laugh! But what could you do on my behalf? Next day, the lion went down for his nap. Along came a hunter with rifle and net. For the sake of a sportsman's bet. a mouse heard the call of a friend. and set the lion free. Moral: Ability is not determined by size. So he resolved to capture food by trickery, of course. And encouraged all the Creatures of the Kingdom to come in. The beasts expressed their sympathy, and entered one by one. The lion ate them up before they had a chance to run. “I am dyin!” said the lion. “Place my bones under the rocks! “No, thank you,” said the fox. Moral: It is wise to be warned by the misfortunes of others. and demanded her hand in marriage. as my daughter's afraid of cats. And gave that lion an earful! Moral: Don't sacrifice too much for the sake of love. Go here for more original Aesop's Rhymes.